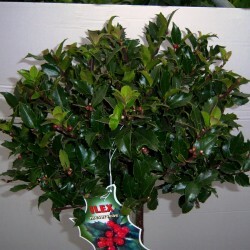 Holly Trees There are 7 products. 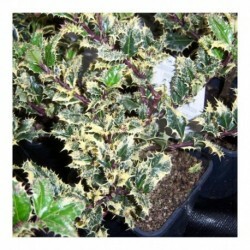 Alaska' is an upright, compact, small tree with narrow, evergreen, glossy, deep-green, spiny foliage. It flowers with small white flowers in summer followed by red berries from autumn until early spring. 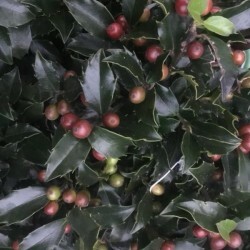 A male Holly is required for pollination. 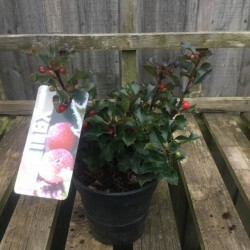 A collection of 2 female and a male holly bush to produce lots of red berries. 2-3ltr pots. Lovely good size bushes. Hedgehog holly. 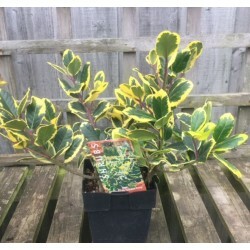 A variegated male holly with glossy prickly, foliage. An excellent pollinator for female hollies. 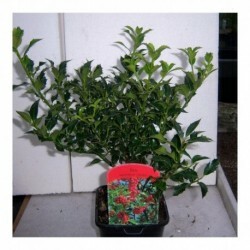 A lovely standard Holly tree approx 80cms high (inc pot) with a bushy 25cm head. A lovely gift for Christmas. 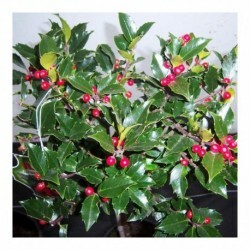 Lovely plants full of berries to make an excellent gift.